The $248 million figure accounted for 72 per cent of Australia’s goods exports overall. For example, between November and December last year, China showed strong overall demand across all coal categories — hard coking, semi-soft and thermal — while Japan showed heightened demand for hard coking coal and thermal coal. However, drops in demand were recorded in the same time frame for semi-soft coal in Japan, while India’s demand for hard coking coal also fell. 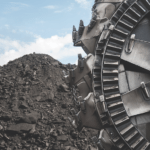 Queensland accounted for more than half of the nation’s $66 billion in Australian coal export revenue recorded in 2018, with $35.7 billion. In turn, this $35.7 billion figure accounted for roughly 43 per cent of Queensland’s commodities exports overall. Queensland Resources Council (QRC) chief executive Ian Macfarlane said 2018’s export records were buoyed by the resources sector and would deliver benefits. “The resources sector accounts for 80 per cent of our state’s exports, through our highly sought after coal, gas and minerals,” he said. 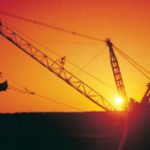 Macfarlane also referred to the state’s record mineral royalty taxes of $5.2 billion for 2018, which was in line with an overall Australian record of $12 billion. 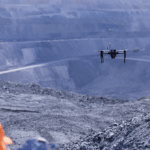 Minerals Council of Australia chief executive officer Tania Constable also commented on Australia’s rare earth element and battery metal wealth as having strong potential for future investment, echoing recently announced plans by the Western Australian Government. “Australia is already the world’s largest producer of lithium and one of the few countries to produce rare earth elements, but more needs to be done to support the development of new mines in Australia,” Constable said.